Swine Flu has been making news since almost two months now. After various news flashes all over the world of this disease taking lives, the disease has been declared as “Pandemic” Disease. Born in Mexico and affecting whole of the world through a virus born in swine, has made India its home now. 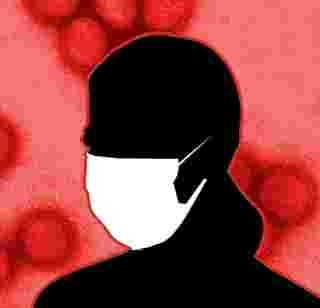 First death from Swine flu has happened in Pune, and Pune has become more of a birth place than Mexico. Pune and Bangalore being worst hit, Mumbai and other metropolitan cities with some other small cities are also making news with this virus. But I have spotted some contradictions in its spread. When Swine flu virus first came in India, nobody was prepared for it and that itself was the very big mistake. I met with an Ayurvedic Doctor just after 3-4 days of introduction of Swine Flu in India. I wanted to know the spreading pattern and some indications of Swine Flu. The discussion moved to another level with me asking him, how can we stop this or rather whom this virus will not affect. He replied,"Those who are having good immune system and resistance power will not get affected by this kind of virus or rather any virus. We have so many virus flying in front of our nose daily, but do we get sick everyday?" So there is no need to panic and just follow some rules in day to day life. Use a mask with Camphor or Eucalyptus oil spread in it. Such strong odours keep these viruses away. I further asked him, how to make our immune system strong and gain more resistance power? He replied “Eat lots of fruits, drink distilled water, wash your hands regularly with soap and avoid going in crowded places” etc etc. But I sighted a contradiction there. Slum dwellers don’t follow such rules, moreover they don’t get to eat proper food forget about fruits and all healthy diets. On the other hand, apartment dwellers get all those costly fruits and dietary foods. But still Swine flu has NOT affected the slum dwellers but the rich ones. Why is that? This might be due to the fact that slum dwellers have strong resistance to such mean things plus their immune system is pretty strong as compared to rich people. This point can be proved by following example. If both rich person and slum dweller get drenched in the rain, apartment dweller catches cold quickly but a slum dweller withstands it. So I guess its about immunity and a mental thing too. If you fear of something, you will feel that you have caught that thing. Also the slum dwellers face these flu and cold every now and then, and have to withstand it as medical assistance is rejected because of no money. So by facing such things regularly their body also becomes impervious to such things. And that might be the reason why these people are spared. But let me clear one thing, whatever I have said above is not full proof. I mean it is not guaranteed that slum dwellers won’t catch Swine Flu ever. They can also catch the disease but surely in a lower percentage.